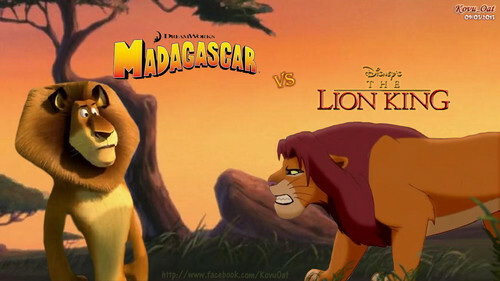 Simba Disney VS Alex Dreamworks. Simba from Disney LionKing meet Alex from Dreamworks Madagascar. HD Wallpaper and background images in the Le Roi Lion club tagged: simba alex lion madagascar.